You Go Girls: Katniss, Clementine, and Ramona!! So the past two nights have basically been spent in tears. Self-inflicted, and all in the name of recreation thanks to a couple of books that were intended for teenagers rather than blubbering 40-year-olds. Actually, one of them was intended for 5-year-olds: Ramona and Beezus. Who knew I’d need Kleenex for that?! It wasn’t just the cat’s funeral (although that was brutal) but more so happy tears for a hilariously quirky child who, despite her actions, is celebrated by a genuinely happy family. Honestly, that stuff doesn’t usually sell tickets these days. 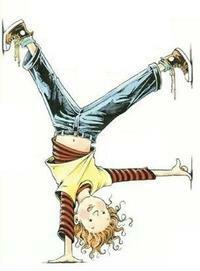 Two of my favorite childhood literary protagonists are Ramona (created by Beverly Cleary) and Clementine (created by Sara Pennypacker). Both girls are spunky, independent, creative, genuine, and good. What’s better, Ramona and Clementine are both kept on track by two (yes, two!) parents and a few patient siblings. Well-intentioned girls with happy families, who frequently experience unintended consequences. When it comes to role models for our own daughter, they blow every Disney princess out of the castle. I just don’t remember books being so damn sad when I was growing up. I must have read Are You There God, It’s Me Margaret a million times and I never remember crying. (I do remember trying the chest-enhancement exercises… the results were delayed a few decades, but I think they did work.) But other than that, I don’t remember adults paying much attention to titles on school library shelves. Wow how times have changed. And I’m not talking Harry Potter change… that’s just when people finally started to notice. Some of the most thought-provoking, suspenseful, emotional, and enlightening pieces of literature I’ve read in the past decade have actually been written for teenagers. Speak. House of the Scorpion. Lyrical novels by Karen Hesse. And of course Hunger Games. Watching the film adaptation of that book was the other night I spent sobbing this weekend. I know people who refuse to read any of Suzanne Collins’ best-selling trilogy because the premise is too disturbing: Children slaughtering each other on national television that is mandatory viewing for the entire country? I must admit, it’s a bit much. But as with any literature that is truly controversial, it’s so much more when you don’t nit and pick it out of context. When you soak in the text as a whole, you discover the true themes. Is it actually a love story? Or a war story? Or a why we fall in love and go to war story? It’s riveting writing paired with concepts that make you ache to talk… to someone! anyone! NOW! This past Monday – our first day back to school after spring break – I had a student come to the library in tears before school. Amanda had finished Catching Fire, the second in the Hunger Games trilogy, and was absolutely desperate for the last title. She was trembling as she explained that she begged her mother to buy Mockingjay for her over spring break, but the answer was no. She had just seen a copy get dropped into our return slot, and she was literally shaking as she asked me if she could have it. I retrieved the book, scanned the bar code, only to learn the book was on hold for another student. But how could I say no to Amanda? I flashed back to my first reading of Catching Fire: I was so engrossed that I stole paragraphs at traffic lights on my drive home. I overrode the hold and checked it out to Amanda. She devoured the book within a day and was able to see the movie premier on Friday, content that she had finished reading the series. 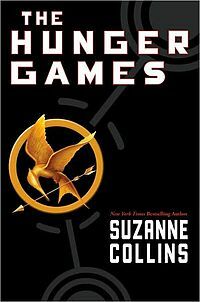 Those of us who love the Hunger Games books to the core were pretty vested in the movie. What if the directors screwed it up? From the cast to the special effects to the costumes, there was a lot to worry about. This series is an English teacher’s dream. It’s a rare combination of great writing that appeals to both genders and crosses all cultural lines. Not to mention the fact that kids want to read it whether you assign it or not. But honestly, it’s better if we do assign it. As riveting as it is to read, it’s even more engaging to discuss. This book is the classic of our age: the 1984 of the 2000’s. Time will tell! I’m grateful for all the female protagonists out there, from Ramona to Clementine to Katniss. And even more so, I’m enamored by the authors who brought them to life. Thank you Beverly Cleary, Sara Pennypacker, and Suzanne Collins!